A course for those looking to push not only the capabilities of their rifle, but also their own skills as a marksman! We will cover many topics related to the marksmanship fundamentals necesssary for competitive, hunting, & target/sports shooting. In this course, you will be challenged by the drills involved to gain both a comprehensive understanding of the capabilities of your rifle and ammo and the corresponding marksmanship skills you need to place first-round center hits on targets at various distances without ballistics calculators or precision-level equipment. NOTE: This course is suitable for any rifle/ammunition combination capable of achieving accurate hits (2 MOA (2") or less at 100 yards) up to 200 yards (less than a 4" group). If your rifle of choice is a manually operated rifle (such as a bolt, lever-action, or pump gun), this course is much better suited for you than our 2-Day Practical Rifle. Color Code of Mental Awareness; Use of Deadly Force and the Law; Criminal and Civil Liability; Zeroing, Sight Adjustments; and more. 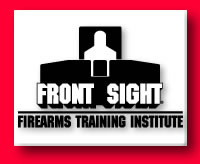 Loading and Unloading; Carrying and Ready Positions; Shooting Stance (Offhand/Standing) and Assumption of Supported Positions; Stabilization Techniques; Sight Alignment, Sight Picture and Trigger Control; Target Identification and Engagement from 15 to 200 yards; Holdovers; Trajectory; Introduction to External Ballistics; and more. The weapon`s caliber must be a rifle round of at least 5mm/.204 or larger and have an attached sling. An appropriate sling may be used for stability of hold during the course. The weapon should be able to hold a 4" or less group at 200 yards with factory match or hunting grade ammunition and can be semi-automatic, a bolt gun, lever gun, or pump action. The weapon must have a stock, not a wrist or forearm brace, as the rifle will be mounted to the shoulder throughout the course. Electronic hearing protection is mandatory and is available at the Axil store inside the Front Sight Pro Shop or numerous retailers. Easily carried rest such as monopod, bidpod, tripod, bag rest, or a shooting stick, if desired. Some type of magazine pouch/ammunition carrier on the belt is strongly recommended. A lightweight dust mask and a handkerchief/bandana are recommended. Do NOT bring shooting mats, rangefinders, Kestrels, or Ballistic Calculators. Tracking Point rifles can only be used in Suppressive or Traditional Mode. Your choice of factory match or hunting grade ammunition should be chosen according to the twist rate of the barrel. If you are unsure about the twist rate, it may be stamped on the barrel, in the owner`s manual, or you can contact the manufacturer. If you are unsure about the appropriate bullet weight, but do know your caliber and twist rate, please contact the Ammo Bunker.